A northern Thai style villa with private swimming pool, fully furnished, 5 bedrooms, 5 bathrooms, living room, dining room, kitchen, bath tub, bar, maids quarters and a car port. The villa is located within a secure development, Ayara Surin, with its own entrance at the end of a private road. 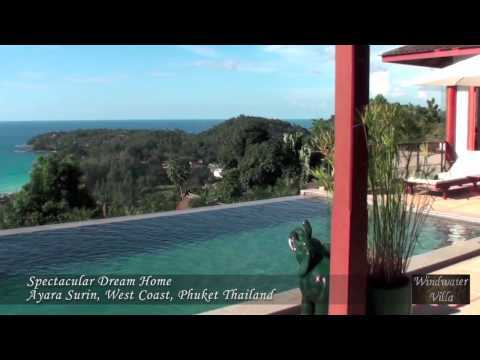 It has outstanding views over Surin and Bang Tao beaches on the West side of Phuket. 5 minutes walk from the beach.